There are still a few weeks left to enjoy the summer season and I don't know about you but my mind keeps thinking about preparing the kids and myself for back to school which is happening sooner than we think! There are new backpacks, lunch bags + accessories, supplies like pencils and paper, books and of course the most important part - new back to school clothes for the kids. This is the time of year we look forward to but some also dread because with the school list can come a hefty price tag, especially for larger families. Giant Tiger is Canada's Low Price Back to School Giant. GT helps families across the country get ready for back to school with everything they need from new school clothes to supplies and school bags at low prices, saving families money. Not only does Giant Tiger carry everything you and the kids need to head back to school but they also offer a variety of products from home decor to food and living essentials at prices families can afford. They have a commitment to price matching, no time limit return policy and help Canadians save money every day. For families like mine, the more we can save - the better. Let's celebrate the savings with Giant Tiger! Join us Tuesday, August 26th from 8-9pm (EST)! 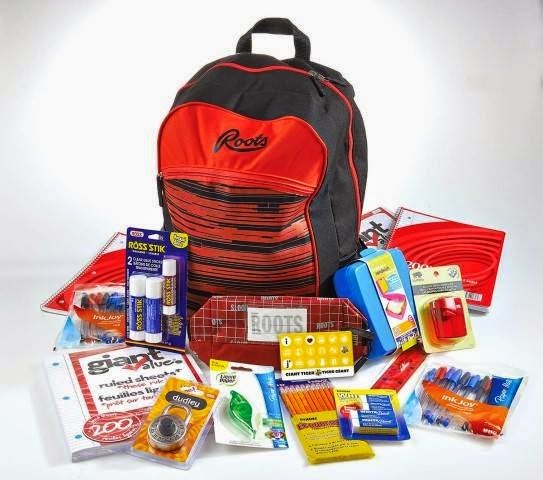 You could win a Grand Prize of a Roots backpack filled with stationary must-haves and a $150 GT gift card or one of SIX secondary prizes of $50 GT gift cards! 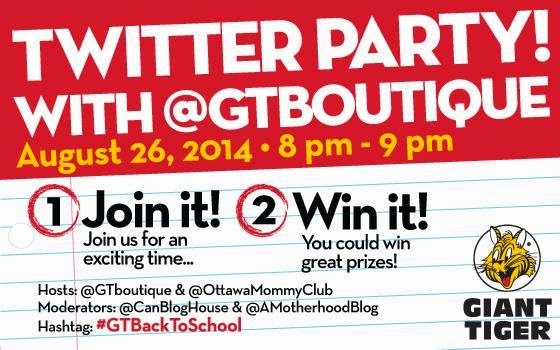 Follow hosts @GTBoutique & @OttawaMommyClub along with the moderators @CanBlogHouse & @AMotherhoodBlog using hashtag #GTBackToSchool to join in on the fun! Don't forget to RSVP below to be eligible for prizes! To RSVP enter your Twitter handle (eg. 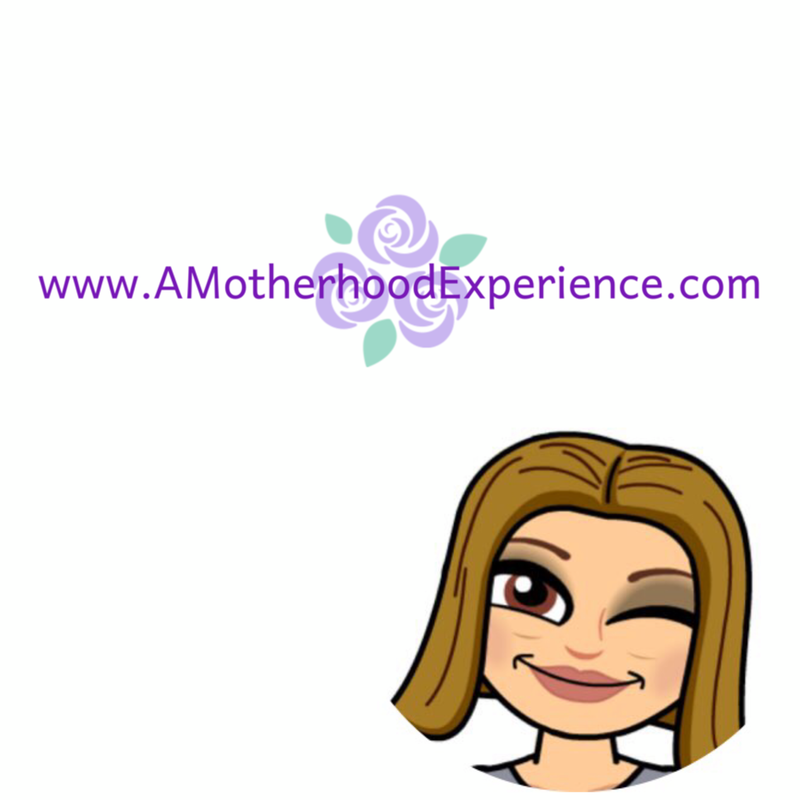 @AMotherhoodBlog) in the name field and your twitter URL (eg. http://www.twitter.com/AMotherhoodBlog) in the URL field. By RSVPing you agree that you are 18 years of age or older. Anyone can participate in the Twitter Party; however to win a prize you must be a Canadian resident. For official twitter party rules click here. To learn how to participate in twitter parties click here! More BTS fun with Giant Tiger's Back to School Haul video contest! Make a video of your GT Boutique Back To School Haul and submit it for your chance to win some great prizes! Click here for more info and to enter today! For more information about Giant Tiger visit www.GiantTiger.com! Don't forget to show some love by following Giant Tiger on social media outlets Instagram Pinterest Facebook and Twitter! Also, check out the Giant Tiger Youtube channel! Posted by AME on behalf of Giant Tiger. Opinions and comments on this blog are those of the author. Love Giant Tiger - go to the one by my house everyday!